Invited (Oral) presentation is 40 minute including time for questions. Key Note (Oral) presentation is 25 minute including time for questions. Oral presentations are 18 minutes including time for questions. Most of the presentations is given in oral session. Poster presentations are 40 minutes as core time for explanation. Q/A can be done during whole day and at the last session of Wednesday. 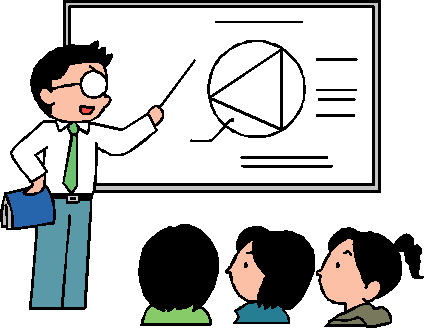 Presentations must be set up prior to the beginning of the session. The auditorium is opened at 9:00 in the morning. Bring your own personal computor. The secreariat will serve the standard LED projector, cables and the switcher at the two conference venues. 4 connecting cables for VGA (Analog RGB; HD15) connection in a session are prepared on the speakers table, and they are switched for projection. HDMI (High-Definition Multimedia Interface) cables and HMDI converter to VGA projector are also prepared on the table. No audio cable is available. AC 100V power stips are available under the table. Please check the suitability during coffee break prior to the session. Mac PC users should bring their own adapter. All the presentaters are recommended to bring a memory stick as a backup. Personal computer of the secretariat (Panasonic LetsNote + Microsoft Windows 7 + PowerPoint2013, all the Japanese version) can be used, and the presentation file saved in a USB memory stick is accepted. Please ensure the compatibility of your file with the PC prior to the start of the session. It will not be supplied except upon special request at least two weeks before the conference and at the speaker's expense. All the presentations are presented in a single oral session. However, 6 Posters will be presented. Core time for the explanation is set at 14:00-14:40 on 11th July (after luncheon). The discussions on poster can be done during full day of 11th Monday. Mounting of posters is before the oral session of Monday morning, or during two breaks in the morning. If the presentor brings the poster on Sunday late afternoon, it will be possible to mount it. Poster pannels are prepared from 13:00 around the registration desk. Pins for the poster fixing will be supplied at the registration desk. The electricity of AC 100V is available on request so that PC display and illumination can be possible if you prepare. The removal of poster can be done on Tuesday morning. The poster board will be cleaned up after the departure of conference bus. If the secondary presentation of the oral speaker is specially asked, or if so many oral presentations are submitted (no extra charge), the poster sesion will be opened at the first day of conferenece (11 July, Monday). In the latter case, the Program Committee asks the authors personally. This decision will be done by 20th March 2016. Two sheets of A0 size (841 mm wide x 1189 mm long) can be displayed on the two boards of (1760mm high * 1160mm wide each). If the presenter will pay an additional charge of 10,000 JPY, the secretariat will print and preepare your poster by recieving the ppt file a week earlier (by the morning of 4 July). The secretariat prints and mounts the poster at the conference venue in advance. Instead of carring the large poster, you may enjoy a comfatable conference tour.